I had heard all the usual things about Margaret Beaufort. She was married very young, had a child and was never able to conceive again, connived and conspired to put her son Henry on the throne of England and she was the mother-in-law from hell. I had no idea if any of this was true or not and wanted to learn more. 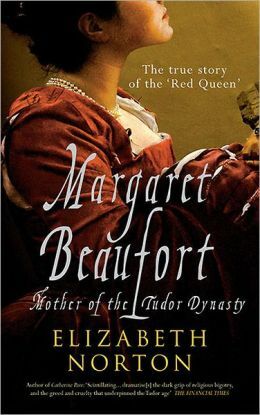 When I heard Elizabeth Norton had written a biography of Margaret, I ordered my copy and settled down to read it. Norton’s writing style is very linear and chronological. It really made reading the book flow. And to my surprise, I found Margaret to be a very sympathetic character. Her early childhood was marred by the apparent suicide of her father but she was sincerely close to her mother and her step-sisters and brothers. She received a more than adequate education, unusual at the time for a woman. Margaret’s value as an heiress and good match was recognized early. Margaret was contracted to marry at the age of nine but this marriage was never consummated and was eventually annulled. Margaret was associated with the House of Lancaster but managed to negotiate the landmine that was the War of the Roses very adeptly. King Henry VI gave Margaret to his half-brother Edmund Tudor in marriage and it was with him she had her son Henry to whom she devoted her entire life. When Edmund died young, Margaret was astute enough to find another husband and protector. She was forced to marry again when her third husband died after suffering wounds in battle. During all the ups and downs of the different kings on the throne between Lancaster and York, Margaret was flexible and agreeable and managed to carry on with her comfortable life until Richard III took the throne. Margaret was certainly guilty of conspiring to elevate her son to the throne. At one point she was attainted by the government, lost all her wealth and land holdings and suffered house arrest. But her fourth husband Thomas, Lord Stanley, allowed her to continue to communicate with her son who was in France. Eventually Henry Tudor was successful in bringing forces to England and winning the Battle of Bosworth in 1485. Margaret was now able to live her life as a free and independent woman and greatly enjoyed a high position at court. She was also a generous supporter of charity and university education. And perhaps she wasn’t the mother-in-law from hell after all. The evidence from this book and from other biographies of Margaret’s daughter-in-law, Elizabeth of York all suggest the women probably got along quite well. That’s not to say they didn’t disagree on occasion. But there appears to have been some family unity. Norton has certainly done her research and her writing style makes this an informative and pleasant read. Norton also includes a transcription of all the surviving letters written by Margaret herself. I enjoyed the book very much and came to admire Margaret Beaufort as the formidable survivor that she was. 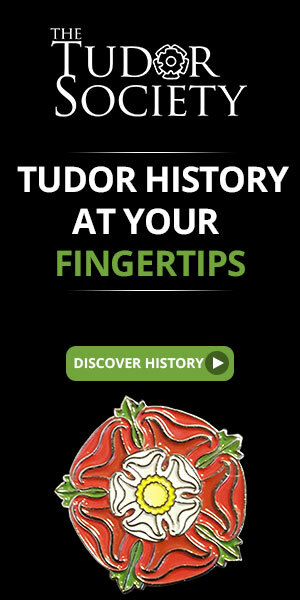 This entry was posted in Book Reviews, Tudor History Books and tagged Edmund Tudor, Elizabeth Norton, Henry Tudor, King Richard III, Lancaster, Margaret Beaufort, Thomas, Thomas Lord Stanley, Tudor History, War of the Roses, York. Bookmark the permalink. I like your review, and in my personal opinion, I think what ever she was, or what ever she was doing she was acting according with the era and she had to fight to survive like every one else. Boffo review. I had noted this book earlier; this just moved it up on my list. Way up. Thanks for the info and easy to follow review. Thanks Gerald. Let me know how you like it!